Airports are a major part of the travel experience. The best airports in the world not only help you get from point A to B, they also create a positive impression about their host countries. It is common to see a lot of effort being put into creating a functional airport that impresses at the arrival, departure and at every turning point. In our ranking, we consider factors like ease of access, baggage handling, immigration protocols, and the security process, combined with the basics like hygiene, air conditioning, ventilation, lighting, customer service and so forth. Airport history also comes into play, as we only included airports with the highest safety ratings. Based on this criteria, here is a list of the 7 best airports in the world. We include a contact number for each airport on this list. Every airport on our list that meets our criteria is also a five star airport according to Skytrax. Located in Doha, the capital city of Qatar, Hamad International Airport has been described as the most architecturally complex airport in the world. This airport evokes a feeling of royalty as the design goes beyond the normal standard public-space design. 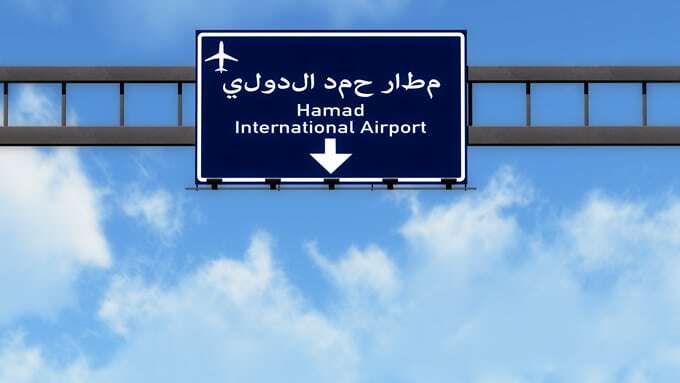 Hamad officially opened for business in May 2014, replacing the former Doha International Airport as Qatar’s newest international airport. The staff at Hamad International Airport is very diligent; from the immigration officials right down to the non-customer relations staff such as the cargo-handling personnel. The way they go about their duties is most professional. Located on the island of Chek Lap Kok, Hong Kong International Airport has been highly praised by customer reviews based on efficiency, terminal comfort, passenger facilities, cleanliness, and staff service. With around 65,000 employees, Hong Kong International Airport flies to over 180 locations throughout the world, including 44 locations in China’s mainland. It was built from land reclaimed by the expansion of the closed Kai Tak Airport. This airport is a former multiple award winner of “Airport Of The Year” at the World Airport Awards. All this comes together to make the experience awesome and leaves a lasting impression on travelers. Located 22 miles south of Nagoya, The Chubu Centrair International Airport is one of Japan’s best airports. It is sometimes referred to as the Central Japan International Airport. This airport is the second of its type to be built on a manmade island. It is very busy, serving a large number of domestic flights to Asian cities such as Bangkok and Singapore. Longer haul routes include Helsinki, Frankfurt, Honolulu, and Detroit. This airport still manages to preserve its facilities and staff service to their customers which makes it one of the top 7 best airports in the world. This airport serves Nagoya, which is the third largest metropolitan cities in Japan. The Tokyo Haneda International Airport is located in Ota, Tokyo. It serves both domestic and international flights. Haneda Airport has been in operation since 1978 up to 2010, handling commercial flights and also charter flights to cities in East Asia. The Haneda airport itself is a sight to behold. It is neat, the staffs are modest, and the design is efficient in every area. The airport has been Because of its prim fancy façade, this airport is used majorly for handling premium business routes while Narita Airport is used for minor and leisure related routes provided by low-cost airlines. The Munich International Airport in Germany is the second busiest airport in Germany in terms of passenger traffic. Munich Airport’s efficiency and timely operation is to be expected, as it hinges on the German culture of timeliness and efficiency. This airport has been given a five-star rating by Skytrax for 10 of the past 12 years in a row. The airport also adds aesthetics and cleanliness to its impressiveness. It ranks well in criteria like ease of navigation, punctuality and free internet access. These factors and more make Munich international airport one of the best major airports in the world. The Seoul Incheon International Airport is the largest airport in South Korea and one of the busiest airports in the world. It won the “Airport Of The Year” recently at the World Airport Awards. This airport is able to balance efficiency and cleanliness. The baggage mishandling rate is incredibly low and the flights are usually on time. It’s also inexpensive to get to and from Incheon Airport. The Singapore Changi Airport has around 5000 arrivals and departures per day. It has been named one of the top three airports in the “World’s Best Airport” by Skytrax for 4 years consecutively. Every airport is the window into the inner country and as such, it is important to maintain a good impression by providing a positive experience of a tourism-friendly environment. A lot of countries have gone to great extent to do this and it has really paid off well in the long run by attracting the right investments. One thing is to advertise on the media, another is when travelers are passing through by the use of the country’s airline and having the opportunity to get a glimpse of the country itself. If they are impressed, or not, chances are that if they have to do business or leisure in that country, their experiences when passing through will actively or passively be a determining factor, hence the need is to provide a positive airport experience.